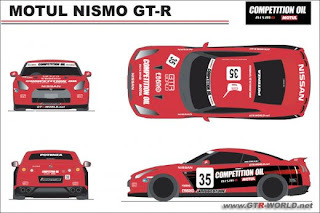 Nismo , Motul , Ebbro , and others are sponsoring a standard R35 GT-R that will compete in the 24 hours of Tokachi Race. The race will take place from July 20-21st. I wonder how many brake rotors they will go though in 24 hours. Left hand drive R35 GT-R 's in Abu Dhabi.